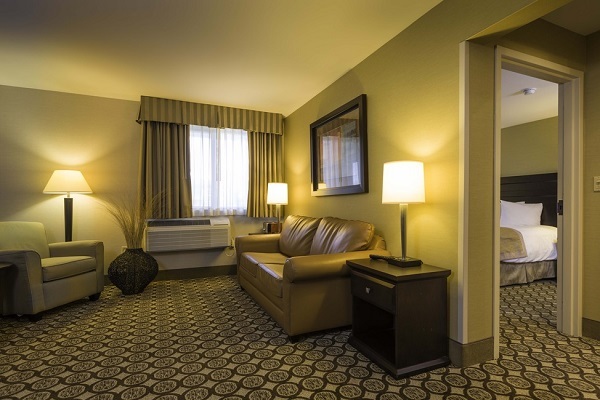 The Best Western Plus InnTowner Madison is a full service, newly renovated, downtown hotel with 176 rooms that offers our valued guests free shuttle service (within 2 miles of the hotel), a pool and whirlpool, room service, restaurant and bar, as well as 6,200 sq. ft. of banquet space. We are located close to Camp Randall, the VA Hospital, and the UW hospital on the corner of Highland Ave and University. We are always looking for fun and effective people to work in our hotel, restaurant and banquet spaces. Listed below is a short list of the career opportunities available. For a current list of available positions, please refer to our company page on ZipRecruiter. You can download our application here. Please email completed applications to jobsinfo@inntowner.com (incomplete or unsigned applications will not be considered). Front Desk Associates must excel at multitasking, customer service, organization, and consistency to do well in this position. Front Desk Associates are responsible for checking guests in and out of the hotel, taking payment for rooms, answering phones, serving as a reliable source of information about the hotel and the Madison area (especially the campus area), and ensuring our guest have everything they required during their stay. This position is responsible for shuttling our guests and driving the complimentary hotel shuttle within a two mile radius of the hotel and other pre-determined destinations. This individual must possess customer service skills and at least minimal experience working with customers. The Shuttle Driver also assists at the Front Desk and maintains cleanliness of Inntowner vehicles, Front Desk, lobby, entrance and office areas during slow periods. Night Auditors operate the front desk of the hotel between the hours of 11PM and 7AM. The Night Auditor performs key accounting duties including but not limited to: the daily audit, direct billing invoicing, and maintaining records. Night Auditors must perform all functions of a Front Desk Associate such as answering phones and assisting guests with checking in, checking out, and all other inquiries. Candidates must be skilled at multi-tasking and have a great attention to detail. Room Attendants must excel at multitasking, pay close attention to detail and take initiative to provide the best possible service to our guests. Housekeepers/Room Attendants are responsible for cleaning guest rooms including changing sheets, removing trash from the room, cleaning bath rooms, vacuuming, and replenishing products in the room, ensuring that our guest rooms meet Best Western International and InnTowner standards and procedures. Banquet Associates are responsible for the proper set up and service of banquets held in one of our five unique banquet spaces. This will involve setting up tables and chairs, as well as decorating the rooms. Banquet Associates are also servers during the actual functions. To be successful in this position, candidates should be motivated individuals who enjoy multitasking. Bartenders must be at least 21 years old and either have or be able to obtain a City of Madison bartending license. Previous bartending experience preferred. In this position, duties include preparing and serving drinks to customers in all areas of the hotel in accordance with specified procedures and recipes in an efficient and courteous manner. InnTowner bartenders must be both efficient and customer service-oriented. Bartenders will also be working events in our five banquet spaces. 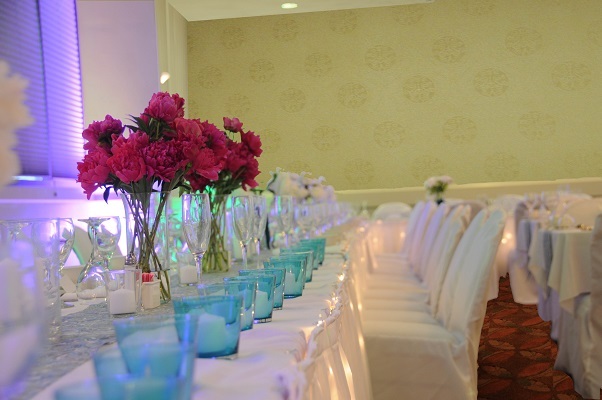 Candidates also interested in serving and setting up for banquets are highly preferred. This position is responsible for preparing meals for the restaurant in our hotel each night as well as for banquets in our five unique banquet spaces. Qualified applicants must be able to read and speak English, have knowledge of food sanitation and safe kitchen practices and have experience setting up kitchen line. The Best Western Plus InnTowner Madison recently completed a multi - million dollar renovation of its 176 guest rooms with new pillowtop mattress bedding, 42" flat screen TV's, i Home clock radios, new furniture and is the only hotel in Madison featuring Keurig Personal Coffee Machines in every guest room. For almost 30 years the Best Western Plus InnTowner Madison has been a local tradition in Madison weddings. Let our experienced and dedicated Wedding staff help you make the memories of your special day exceed your expectations while providing a better value. Located in the heart of Madison, you’re sure to feel right at home while you’re here at the Best Western Plus InnTowner Madison. © 2019 Best Western Plus InnTowner Madison. All Rights Reserved.